If you are suffering from pests in your garden, don’t panic! 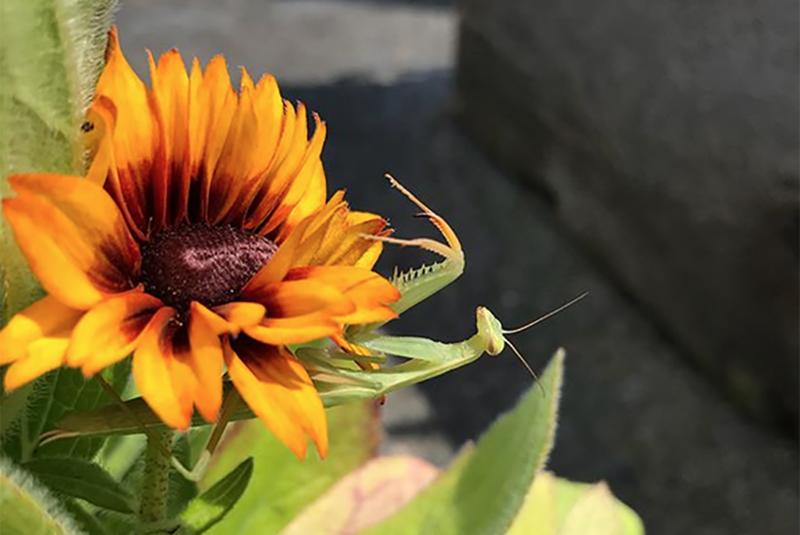 A beneficial bug is a valuable garden helper, either providing pollination or pest control as part of an Integrated Pest Management (IPM) system. IPM is the practice of using biological, cultural, mechanical, physical and ‘chemical’ interventions as a preventative or corrective control for plant health. Using larval and adult predatory and parasitic insects to target unwanted pests is a significant program within IPM. source link Farmscaping is a management strategy that integrates forage gardens rich in nectar and pollen to encourage year round habitat. Planting a forage garden will help attract a nearby predator to stop in for a snack on those who would threaten your crop. Planting a mix of annual, perennial, and flowering shrubs in a diverse range of colors, shapes, sizes, heights, and growth habits will help to attract a variety of beneficial insects. Including native plant species provides reliable, low maintenance forage and habitat. Grouping the same plant in a block creates a desirable insectary, as many pollinators feed on one species at a time. Planning for a continuous succession of blooming times provides valuable nectar and pollen that will keep beneficial insects nearby year-round. 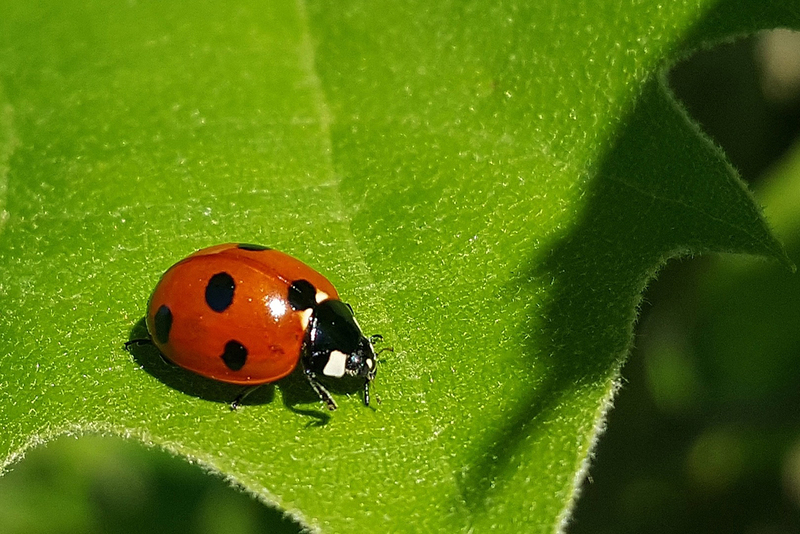 Small branches and logs placed onto garden beds will create critical protection and habitat for long-lived insects, such as ladybugs, to overwinter. At a minimum, plant a 4×4’ patch for a small garden, or for a larger farm, 5-10% of the overall cultivated land, or an insectary row every 100’ among crops to encourage a great insect ecosystem. In orchards, sow or plant forage underneath the trees, or between rows. Generally, you want to create predatory insect habitat close to the crops that need the most protection. http://maientertainmentlaw.com/?search=free-levitra-powered-by-vbulletin Provide water for your friends: Shallow pools, bird baths, and non-chlorinated fountains with good sun exposure provide an accessible drinking water source. Remember to include rocks, marbles, or water plants for insects to land on to prevent drowning. You can also buy dormant larval or adult predators from Down To Earth that will target the problem immediately. Eats aphids, caterpillars, spider mites, insect eggs, mealybugs, scales, moth eggs, thrips, and whiteflies. Lacewing larvae will eat over 200 aphids in a week! Adequate forage will encourage the adults to remain and reproduce in the release area. 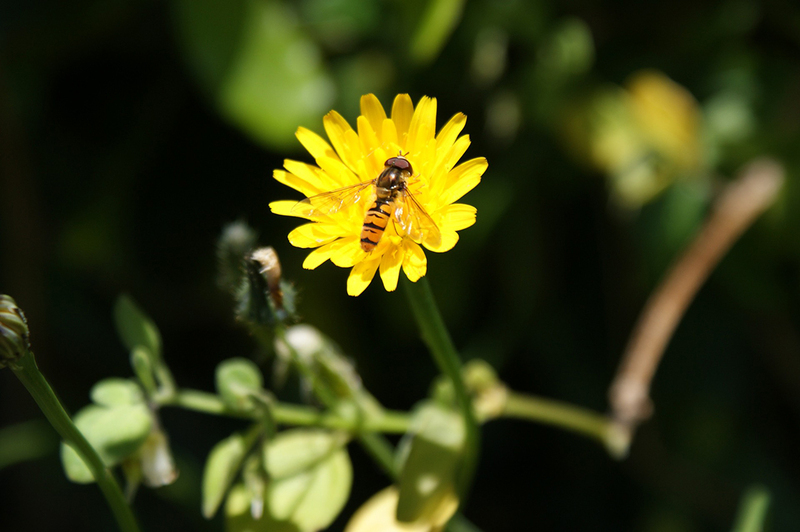 An insectary garden full of nectar, pollen and honeydew will stimulate their reproductive process. Eats aphids, mealybugs, spider mites, scale, thrips, white flies, and mites. One larva will eat about 400 aphids as it matures into an adult. During winter dormancy, ladybugs live under rocks, wood, or plant debris and usually live in groups of 100 or more adults. They can live up to 2-3 years in the wild. Eats leaf hoppers, beetles, grasshoppers, crickets, spiders, moths, mosquitoes, roaches, flies, and aphids. Adults also eat small rodents, frogs, hummingbirds, lizards, snakes and small song birds! Keep in mind they are indiscriminate eaters and will eat other beneficial insects as well. Eats many different varieties of aphids. The most common and effective parasite of the green peach aphid. Is not effective for cotton or potato aphids. Used frequently in greenhouses for aphid control. Females lay 50-150 eggs in aphid nymphs of all sizes. One egg is laid in each aphid, which consumes them from the inside out in 5-7 days. This aggressive predator feeds on all species of thrips under high humidity growing conditions. When it has more than one option of prey, it will feed on the easiest to find. Adults live for 4-5 weeks in which time the females lay around 35 eggs, mainly on leaves. Eat all species of whiteflies, especially Sweet-Potato Whitefly and Silverleaf Whitefly. Females generally lay their eggs within clusters of whitefly eggs, which makes it easier for the larvae to find a food source. They prefer eggs and nymphs. These tiny beetles eat all stages of spider-mites, and find new infestation sites by flying. Each destroyer eats more than 40 mites/day, living 4-5 weeks. Life cycle lasts 18 days at 70˚. Eats most mealybug species, especially citrus mealybugs. If mealybugs run short, they’ll eat scales too. Only 1 or 2 are needed per plant since predators eat fast, and mealybugs breed slow. Females lay eggs along the egg sack of mealybugs. They become adults in 24 days. Also known as flower bugs. Feeds on soft bodied insects like thrips, spider mites, and aphids. They reproduce quickly with a life cycle of 3-4 weeks, so are great for dealing with infestation. Very effective control for spider-mites. Three species are available. Order single species, mix of two, or mix of all three. Start with at least 1 predator for every 20 spider mites. Otherwise known as a predatory gall midge. These arrive as cocoons from which adults emerge in about a week and lay eggs near aphid colonies. The larval stage, which feeds on aphids is orange, and about 1/10” long. Adults resemble small mosquitoes. Great for trees. Tiny wasps are effective control of Greenhouse Whitefly (Trialeurodes vaporariorum) in greenhouses. 500 is sufficient for most greenhouses. Also provides limited control of Sweet Potato Whitefly (Bemisia tabaci). Eats grubs, root aphids, house flies, weevils, Japanese beetles, ticks, queen ants, fleas, fungus gnats, ticks, thrips, leaf miners, cutworms, onion maggots, and root maggots. Nematodes carry a Photorhabdus species of bacterium, which kills insects within 48 hours. They are known to feast on over 250 different insects including bacteria, fungi, protozoa and other nematodes. These wasps lay their eggs into the eggs of over 200 species of moths, which turns the eggs black and kills them, preventing the next generation from maturing. Adult wasps parasitize 100 eggs in their short 8-10 day life cycle. These wasps are harmless to people, animals and plants. Eats fungus gnats as well as mites, springtails, and most other soil-dwelling critters. Both the nymphs and adults feed on soil-inhabiting pests, consuming up to 5 prey/day. Their lifecycle lasts approximately 7-11 days from egg to adult. Inhabits the top 1/2 inch of soil. Effective control of most pest flies including house, stable, face, blow, and horn flies. 15,000 treats several head of livestock, a compost pile, or numerous rabbits, chickens, & other small animals.